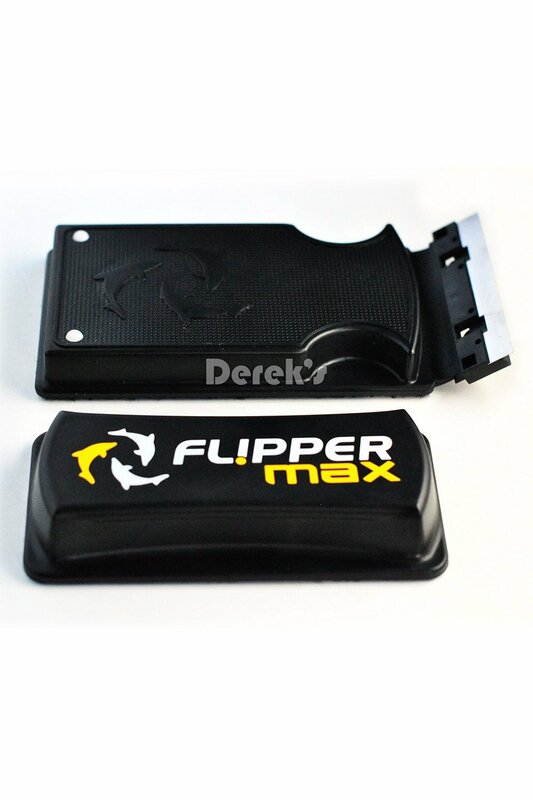 Flipper Max is made with some of the strongest rare earth magnets available, allowing it to clean glass and acrylic tanks up to 1" (24mm) in thickness. Its unique design almost completely eliminates the possibility of trapping sand particles! With an ultra-low profile, and the only dual scrubber / scraper design on the market, it is a major time-saver for daily cleaning. That's why the Flipper Max has quickly become a "must-have" cleaning tool for advanced hobbyists and maintenance professionals!